54 Torpedoes or Sacrificial Lambs? 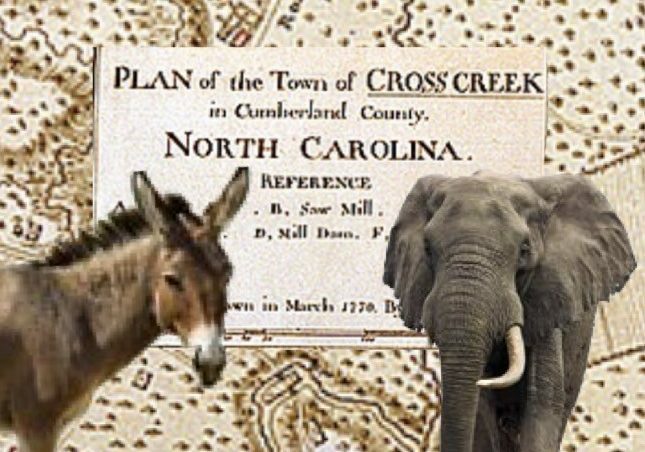 Due to severe partisan (and racial) gerrymandering, North Carolina’s counties are littered with “safe” legislative districts that favor a political party over another. Because Republicans drew the lines, Republicans are favored more often. Win the partisan primary in one of these districts, you get to go to Raleigh. Often, the minority party either can’t find candidates to run in these districts or writes them off all-together. Simple math and logic and the fear of getting steam-rolled in front of your community compel good people to sit on the sidelines. Even when Republicans took the legislature in 2010 in what was considered a landmark, landslide election, 32.7% of the legislative races were uncontested. This is a nationwide occurrence and is exacerbated each time a majority party gets to draw its own lines. All of this makes what is happening right now in North Carolina remarkable. We are bucking a 40-year trend across the nation. In 2018, every race is contested. Democrats have gone all in in an attempt to break the veto-proof majority and perhaps win the House or Senate. Republicans, not the type to back down and with no shortage of money or resources, have countered with their own candidates in seemingly safe Democratic districts. The political question arises: are these new candidates torpedoes (with a real chance to win), or are they sacrificial lambs (put in place to distract the other side and spread thin its resources)? The answer will be found, as often the case, by following the money, particularly Democratic money. If Democrats (often short on cash) fund these races, then it shows they believe they have a chance. If instead, they only pump funds into a few races (4-8 or so), we will know that their goal is to break the super-majority and give Governor Cooper veto power. If 1. or 2. occur, it will change the way new districts are drawn in 2020, impacting the partisan make-up of the legislature until 2030. Failure is also a possibility, especially when shooting for an all-out win. Over-estimating Trump’s impact, misreading polls in March that are certain to tighten in November, and spreading limited resources to races Democrats have no chance of winning could create Outcome 3. In short, Democrats could get greedy, and lose everything. The future political makeup of North Carolina is literally on the line. Try to put yourself in the shoes of a challenger in one of these districts. Maybe you’ve been recruited by party bosses in Raleigh with favorable polls in hand. Maybe you’ve just decided that enough’s enough and you want to get in the battle. Regardless, you’re doing something that just two short years ago, no one even bothered to try. It takes guts to put yourself out there, especially with little hope of success, and these folks should be commended. This “experiment,” if you want to call it that, will probably only take place once. Pay attention, and vote.